The Annual General Meeting for North Shore District was held at Belrose Bowling Club on Monday 27th August 2018. Following the meeting many ladies chose to take the opportunity to a catch up with old and new friends and stay for a delicious Chinese buffet lunch. The Finals day for the District Singles Championship gave members of the District Committee an opportunity to show off the new District shirts. 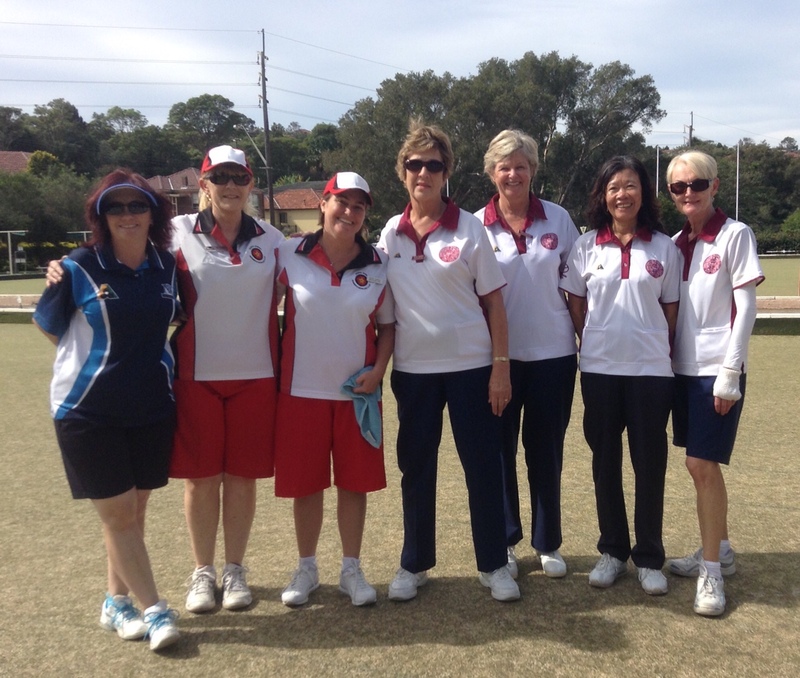 L to R: Sue Hamilton (Chair of Match), Anne Cowlishaw (Match Committee), Denise Owen and Helen Stromsmoe (Selectors), Beverley Piper (Vice President) and Billie Maas (Match Committee). Below: the former Lower North Shore District Committee, at their District dissolution meeting.